In 2009, the Department of Energy announced the launch of the Hospital Energy Alliance, an industry-led partnership to get hospitals on board with energy efficiency and renewables. We’re seeing the results as more hospitals make announcements like this: a 6.3 megawatt solar system just turned on at New Jersey’s CentraState Medical Center – one of the largest distributed energy systems outside of utilities. KDC Solar owns and installed the system and sells the power to the hospital. There are 21,408 ground-mounted solar panels on 26 acres of land. It’s providing electricity to a medical center that serves 14,000 inpatients and 250,000 outpatient visits a year. 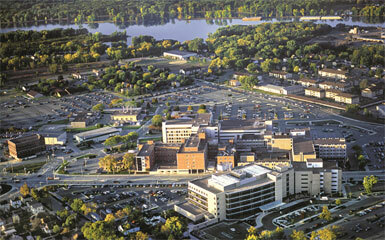 In Wisconsin, Gundersen Health System – a network of hospitals, medical clinics and nursing homes – announced they are producing more energy than they consume – the first net-zero energy health system in the US. They are doing this through a combination of energy sources: biogas from three local farms; methane from a local landfill; wood chips from local suppliers; solar installed on a parking lot; geothermal; and wind from two local projects. Energy consumption is down 40%, saving $2 million a year, and they earn another $2 million by selling the electricity and manure byproducts of biogas production. "We did not set out to be the greenest health system, we set out to make the air better for our patients to breathe, control our rising energy costs and help our local economy. We believe we have made more progress on all three than anyone else in the country," says CEO Jeff Thompson. 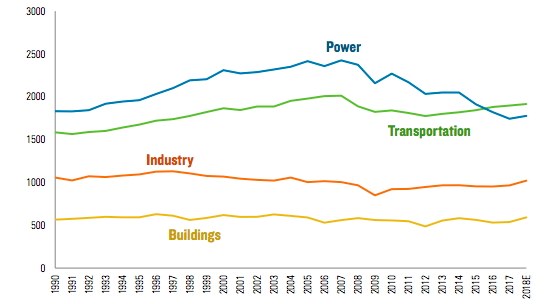 He notes that hospitals typically consume 2.5 times more energy than commercial buildings, and Wisconsin has one of the most energy-intensive climates in the nation. They reached these goals even while they built two new hospitals. The cost: $30 million of its own money and $11 million in state and federal grants. Waste reduction is another big goal in a system that relies on disposal items like syringes and sample cups – 5.9 million tons a year. Hazardous and pharmaceutical waste is down 40%, food waste by 70%, and styrofoam is gone. Since Hurricane Sandy, when hospitals were flooded and even the sickest patients had to be evacuated, hospitals are on the front lines to protect themselves from severe weather events. About 200 hospitals use cogeneration and many are developing microgrids. St. Luke’s Hospital in Pennsylvania is pioneering a "farm to hospital" model. Read our article, Greening Hospitals Would Cut Health Care Costs.